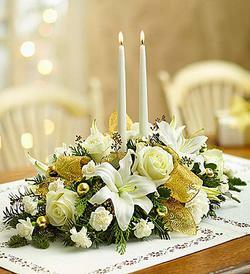 A beauitful all winter white centerpiece. This arrangement is filled with white roses, white carnations, white lilies, holiday greens and gold trim and more. Great to ring in the New Year!